Industry groups and standards bodies have collaborated to address these issues by classifying explosive materials and defining standards under which networking equipment and Internet of Things (IoT) devices can be safely operated in their presence. The work has been conducted by different organizations, in different regions, and it can be challenging to understand which standards are applicable under different scenarios. 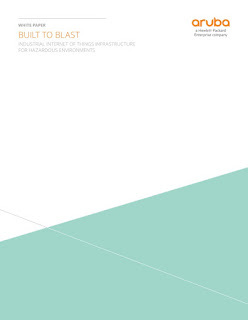 This white paper examines the different categories of explosive risks, which standards to apply under different scenarios, how network infrastructure can be deployed in explosive environments, and how sensor systems can be integrated with this infrastructure. The goal is to enable end customers and resellers to select the network infrastructure, enclosures, and associated systems that are best suited to each scenario.